Is Buildings the only target of BIM? "We don't do Buildings, we do roads" a Highways Engineer told me. Understanding that the scope may refer to "Built environment" is an easy way out. It would then encompass any project that requires construction. But settling one argument brings up another challenge: Where do we draw a line with Manufacturing, in particular with equipment or off-site fabrication? Is BIM a sub-set of digital manufacturing or Internet of Things? Are those a sub-set of BIM? In practice, the line is smudged. Manufacturing companies have been doing some of the "BIM innovations" for decades, and are now learning a trick or two from the BIM practices. In summary, the "B in BIM" may have created unnecessary barriers to adoption by artificially limiting its scope. The opposite statement, "Everything is BIM" is not better either. I think this is the main point for resistance: There are a number of good reasons to avoid "restricting" to an information-driven environment. One way to define Information is through the Data-Information-Knowledge-Wisdom framework (see DIKW pyramid). BIM operates in the relationship between elements, with some relationships fixed or pre-established and others open to the designer. If data is the new oil, is information the new plastic? You need data to build your information. BIM definitely accelerates and helps the data exchange between Sometimes, obtaining that data is costly or simply not your job. The typical answer among BIM advocates is "you need everybody on BIM" or "move to a shared platform"... but in practice it may mean working on a "limited data environment". If the data is simply not available, the BIM environment forces you to either operate on a hybrid environment, or model other people's input in the model environment. Either solution creates a "moat" around the benefits of BIM. You may prefer less information, . "Resolve the plan, then think about the elevation" is a perfectly reasonable approach in a non-BIM context. As much as I believe that a holistic resolution of the design drives better results, making more data available brings mode design responsibility. In this sense the ignorance is bliss principle justifies the non-BIM approach to limited contracts or isolated activities. You may prefer not to disclose information. Particularly in cultures where pointing fingers is common (and Construction seems to have a history), it may be preferable to avoid the possibility of finding clues that went unobserved. I think it may be shooting the messenger, but if we see BIM as an evil carrier of bad news rather than oiling the communication, I can understand the resistance. On the other side, I can understand the historic trend towards protecting intellectual property and competitive advantage of design companies who develop custom and automated model-based content and resist disclosing it. The "I in BIM" is both its biggest asset and its biggest liability. Seeing the glass half full while recognizing the room for more drink is key to adoption. I took part in many discussions around this third letter. "It stands for management", "BIMM" and other variations are common among the practitioners and experts. I would like to step back and ask: Why do we create models? How do we define what a model is? Based on recent explorations well outside my comfort zone (I hope to start posting more about this), I learnt about financial models, enterprise architecture models and macroeconomic models. One thing that I see in common in all these "models" is how much discussion those models trigger. And in a way, that is the very purpose to have them: rather than abstract philosophical discussions, we set the rules and then shake the result until new apples fall. In order to do that, we need to specify the "variables" and "functions" in our model, and in particular the variables that we control (independent) from the ones that will follow from our decisions (dependent). In Architecture, the number of independent variables is enormous (each and every decision of the designer), and only very few parameters are derived. BIM definitely helps in setting some of those rules, (for example, placing a door within a wall forces moving the door when the wall moves). Designers may challenge these restrictions, and sometimes this is a valid reason to resist the BIM implementation: in my same door example, the designer may want to evaluate if the door is needed or not, but most BIM authoring tools will force the choice of a specific door size, material and swing direction as part of this decision. Also, models need a purpose, otherwise they become very vulnerable to misinterpretation and mistake. In the movie Zoolander 2, Derek is saddened by the collapse of the "Center for Kids who can't Read Good", after he insisted in having it build in cardboard, just like the model. This obvious case where the physical model represents shapes but not actual materials can be translated to other aspects of our BIM representations: the materials are added for quantity take-off or visualization, the loads for structural calculation... As designers are used to having freedom, subduing creativity to the model environment can be painful: in applications of computational design, certain decisions regarding building layout are considered dependent on many other parameters. This evolution of the model to add constraints and subdue variables that were independent requires acceptance on the restriction of freedom that comes with it. Finally, models are a simplification from reality. Not every aspect of the real world is captured in a model, and deciding what goes in and what goes out is a fundamental decision. Omitting data is necessary to make the model viable, but removing too much makes the model unusable. The discussions on Level of Detail and open discussions on model purpose enable factoring the efforts through the supply chain to refine the efficiency in the model creation and use. 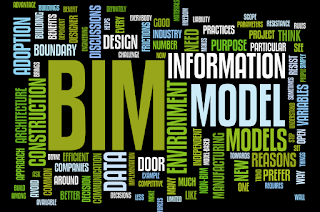 The "M in BIM" is a catalyst of open communication and sets the tone for collaboration. Understanding the different components of the model as a system of interdependent parts allows for a deeper analysis of inputs, outputs and processes. I remain convinced of the value of BIM to enhance the efficiencies in Architecture, Engineering and Construction. 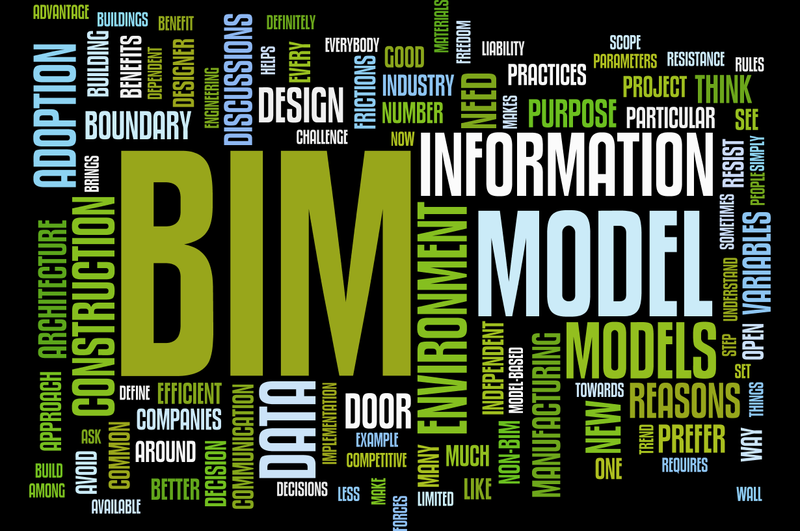 While I think BIM may be applicable to every project, not everybody may share this opinion. People may be doing "some form of BIM" regardless of how it is called; in particular, in the convergence between Manufacturing and Construction. BIM makes the industry more efficient through removal of communication frictions, but many companies benefit from the current frictions and need to adjust to a new paradigm. To further the implementation, the industry needs more awareness of implications of BIM adoption through the design, construction and operation. Individuals may prefer the traditional, less efficient non-BIM approach for a number of reasons, either to preserve identity, bargaining power, avoid liability. BIM adoption benefits from integration, which explains the higher adoption trend in multi-disciplinary practices, integrated design-and-build contracts and large conglomerates, where BIM offers a competitive advantage over fragmented organizations where the information exchange frictions serve a purpose. Owners, operators and end-users benefit from a better-coordinated project, so should prefer model-based practices where this coordination is more efficient. This preference will move the needle towards a BIM-enabled industry.